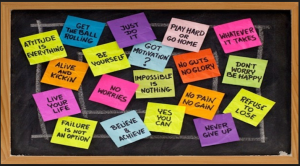 Do you feel like you are just spinning your wheels in your home business and not getting anywhere? Have you ever been to a movie or watched a TV show where someone gets a blow to the head and then they wander aimlessly, unable to remember who they are or where they came from? Well, you don’t have to worry about getting hit on the head and suddenly forgetting who you are because that is actually very rare. However, memory loss is a problem that affects most people to some degree. I’d start them and stop…start…stop…. probably didn’t do me much good that way. Obviously, I was not taking doing positive affirmations very seriously. Then I looked around and found that so many top leaders in our industry were saying they were really important. We are intent on being prosperous and successful in our business, how about you? You can’t really do that without preparing for it, though. One thing being prepared entails is to be diligent and consistent. One way I have found to help me with that is to have a Daily Basic Routine. Create one piece of content every day and publish it; this could be a blog post, an article, a video, etc. Average 30 minutes per day on learning marketing. You could even create your content based on what you are learning. Daily Affirmations (Afformations?) I’ll talk about that more another time. Meditation, 15 minutes per day, focus on breathing. Make connections with 10 people per day. This is not pitching your business, it’s just connecting and building a relationship. You are looking for people that you can help with what you have to offer. Asking questions is key to finding out what THEY need, want, and/or don’t want. If you follow this routine for 6 months consistently, you will double or even triple the results you are currently getting. The above routine is from Module 2 of this awesome training but that’s just one little piece of it. This is a FREE 1 ½ hours webinar that’s jam-packed with effective tactics, but if that’s not enough, you can also buy the full course, I did. I have also implemented something to my daily routine that I never even considered before. It’s called “Zero Level Marketing” Basically, it’s setting a minimum of what you will absolutely do every single day, without fail, no matter what’s going on, no matter how you feel. (I do take one day off every week). You don’t want to set your zeros too high, or you might not be able to get them done if something comes up. On the other hand, your zero minimum should not be zero! The daily routine I listed above would be a good zero minimum, but you set yours to what works for you. So, go set YOUR basic daily routine and do it! Do you REALLY know how important follow up is? Personally, I have found this follow up system to be very helpful and I like the way I can set daily/weekly/etc tasks for myself so I won’t forget to do the follow up. We have a great newsletter where we share tips and ideas for Network Marketers to help you grow your business. You can get on the list Here. Do you want to learn how to sponsor 12-17 reps per month and how to sell ANYTHING on webinars. This is free training and I’m super excited about it. The lead-generating and marketing training platform, MLSP, that we are affiliated with has partnered with Steve Jaffe, an MIT trained MBA, to bring you a very exciting and important product for those who want to grow their businesses fast. It’s a webinar on how to do your own webinars. Why do webinars? 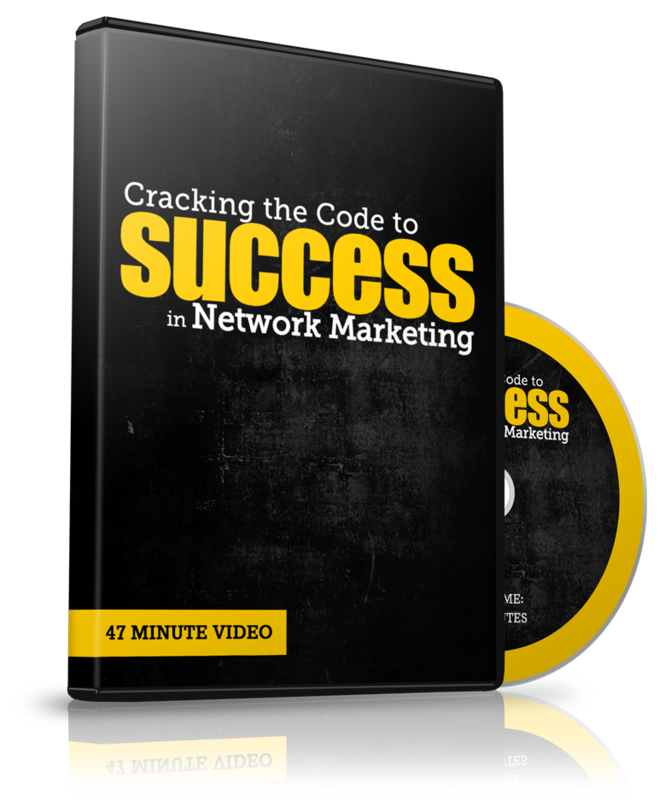 You must do webinars and hangouts to earn full-time income. All top leaders do them. Steve started doing webinars two years ago because he needed money fast to pay his bills, and for those two years, he has not only been doing them, but he has been testing everything while putting together this training course that launches on December 10 at 9pm EST. 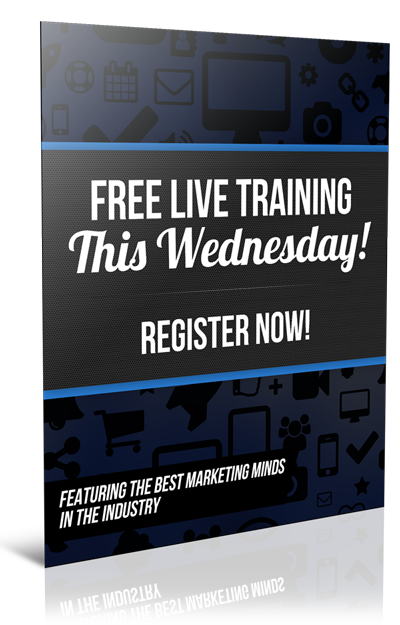 Now YOU can get in on this top training from the top expert in webinar marketing. Want to start making money by promoting training like this and FINALLY learn how to make money on demand? P.S. 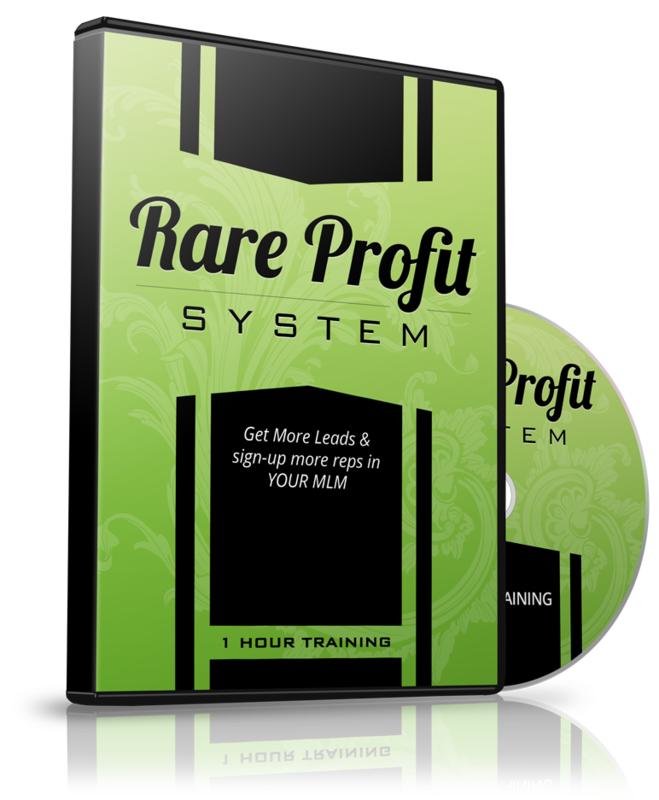 Watch this cool video where a guy actually has been having the success he was looking for and FIRED HIS BOSS, and get a Ten Dollar Ten Day Trial of the system to see if it’s fit for you. Click Here. Does Milk Really Increase the Risk of Bone Fractures? Have you seen the recent headlines suggesting that milk might increase the risk of fractures and even of dying early? But what about the popular sayings and slogans such as “Milk: it does a body good” and “Got Milk?” Were they all just hype….a sales gimmick? What Foods and Fake Food Additives Should You Avoid? Over four decades of additives, preservatives, artificial colors flavors and sweeteners etc. and just things that are bad for you have been added to our foods. No wonder so many people are having issues with allergies, diseases and various other problems with their bodies that were simply not issues in the past. These days shoppers are becoming more aware and being more cautious when they shop, so here is a list of 20 of the most common foods and ingredients to avoid if you see them on the label. Ever feel lost in the jungle of what is still ok to eat? It is true that “overcooked” soy does contain “carcinogenic” compounds. When soy is extruded through high temperature, high-pressure steam nozzles to form what is called “textured vegetable protein” – TVP for short”, this form of processing renders the soy “meat substitute” carcinogenic or cancer causing. TVP is what is used in soy dogs and soy burgers, and should be avoided. Whole soybeans are high in plant fat. If soybeans are roasted to eat as soy nuts, the heat alters the fat and makes it a trans-fatty acid, which causes both cancer and heart disease. As roasted soy nuts sit on the shelf or in the cupboard in storage, the oils are becoming more and more rancid and carcinogenic. AVOID roasted soybeans. But I’ve heard that soy protein is hard on the kidneys! Animal protein is much harder to digest than vegetable protein. Since many people have digestive difficulties, protein that is not thoroughly digested is very challenging to the kidneys. Powdered protein is in a predigested state, and the BEST protein source to choose! Protein is not the enemy – it is essential for life. It is true, however, that EXCESSIVE protein is hard on the kidneys, so if a person consumes more than 2 grams of protein per pound of body weight daily, AND does not consume adequate carbohydrates with it, this could cause kidney damage. I have breast cancer, and I’ve been told I cannot have soy! It is true that soy is a “phyto-estrogen” food, which means it contains substances that have hormone-like components. However, their estrogen strength is 1/1000th that of the body’s own stronger estrogens. Therefore, you want to load your digestive system with quality controlled raw soy powder, because these weaker estrogens will block the estrogen receptor sites from receiving your body’s own stronger estrogens and therefore be very protective against estrogen-fed cancer. 1) Were the soybeans ORGANICALLY GROWN? Studies have shown decreased levels of food nutrients and increase levels of nitrates in chemically fertilized crops, when compared with their organic counterparts. There is a connection between the ingestion of nitrates & CANCER! Therefore, it is important to know that pesticides, fungicides, and herbicides have not been used during the growing process. In particular, with soybeans, since they are such a hardy plant, a powerful and DEADLY weed spray called Round Up is usually used. For your safety, you must know that your soy products are organically grown. 2) Were the soybeans GENETICALLY ENGINEERED? Genetically engineered soybeans are much cheaper to purchase, and most companies producing soy products look for ways to save money. 3) Does soybean powder contain ALL of the 9 essential amino acids? One of the most valuable features of the soybean is that it is a complete protein and provides ALL nine of the essential amino acids. The body requires these daily to produce hormones, digestive juices, antibodies, and enzymes. HOWEVER, not all soybeans are created equal. Quality and amino acid content will vary based on soil conditions, and variable growing and harvest conditions. If one essential amino acid is missing, the immune system can be depressed 30%, and many important body functions are delayed or stopped. Therefore, it is essential that each batch of soybeans be checked for amino acid content if we want to depend on the soy isolate to provide a GUARANTEED supply of the nine essential amino acids. 4) Were the crushed soy flakes washed in alcohol or water? Alcohol washing destroys isoflavones content up to 88%! It is the isoflavones that reduce the risk of breast, prostate, lung and bowel cancer! As well, it is the isoflavones that are to beneficial in hormone balancing and increasing bone mass. 5) Was the “anti-thyroid”, “anti-growth” substance in the raw soy removed? Orientals, who have consumed large amounts of soy for years, have known that RAW soy contains an “anti-growth”, “anti-tyrosine” substance. Tyrosine deficiency will cause low blood pressure, low body temperature, and restless leg syndrome. Therefore, Orientals always lightly cook their soy foods to deactivate the “anti-tyrosine/anti-growth” substance. Shaklee* has designed an extracting process that removes this substance, yet keeps the soy in a raw form in order to maintain the HIGHEST LEVEL OF AMINO ACIDS and ISOFLAVONES, which are very sensitive to heat. 6) Is your soybean food RAW or heated? Amino acids are very sensitive to heat. In some studies, cooking protein has been shown to destroy up to 50% of some ESSENTIAL AMINO ACIDS. If an individual consistently consumes a diet that is lacking in all of the essential amino acids, inadequate brain development and hormones, or other body tissue development can be the result. 7) Has CALCIUM been added to your soy powder? Some negative reports about soy say that soy powders are VERY ACIDIC and cause bone loss because it causes calcium to be drawn from the bones!!!! The raw soy bean is a NEUTRAL food –neither acidic or alkaline. However, the removal of soybean oil (which is essential so the soy powder will not go rancid very quickly), makes the powder very acidic. Therefore, adequate calcium (which is very alkaline) must be added to cause the powder to be neutral again, or it can cause the above stated problem. Many protein powder manufacturers do not add any or enough calcium. About the Author: Dr. Brouse is a widely recognized authority in the fields of nutrition and prevention of chronic degenerative diseases. He has a Master’s in Biochemistry and is a Doctor of Chiropractic. He was an Associate of Professor of Clinical Nutrition for 14 years and founded the renowned Sunnyside Health Center in Clackamas Oregon in 1977. Since that time, many people throughout the world have regained a greater measure of health while following the recommendations of the clinic’s health professionals. * You can find more about Dr. Brouse on his Sunnyside Health Center website. He mentions Shaklee in his article, above. We have consumed not only soy but other products from this company for over 20 years. You can check out our website if you want to know more about the products or to place an order. P.S. We have a great newsletter where we share tips and ideas for staying healthy. Go here and put in your best info to get on the list.